"One hundred years ago on Friday, John Reed was in St. Petersburg watching Lenin, Trotsky and the rest of the Bolsheviks take over Russia. 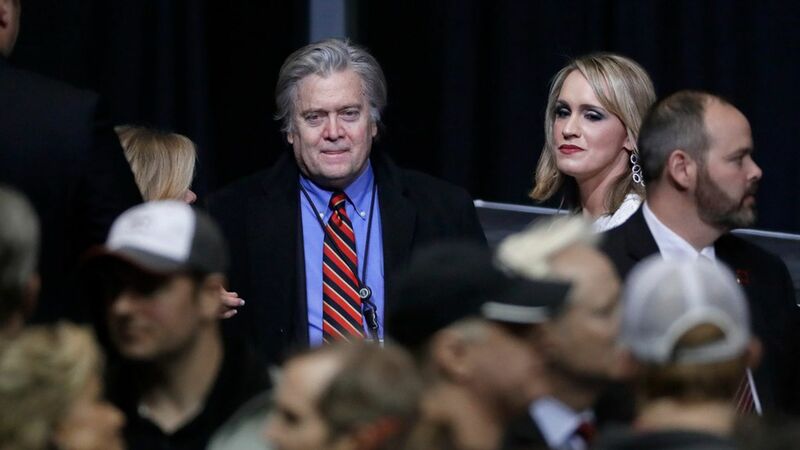 It was interesting to read his account, 'Ten Days That Shook the World,' this week — the week when Donald Trump and Steve Bannon solidified their grip on the Republican Party and America's national government." "The Republican senators greeted Trump on Capitol Hill and saw a president so repetitive and rambling, some thought he might be suffering from early Alzheimer's. But they know which way the wind is blowing. They gave him a standing ovation." Why it matters: "This is like 1917, a clash of political, moral, economic and social ideologies all rolled into one."